Today, Preemie is featured in a review over on Cheerio Road, Karen Maezen Miller’s beautiful blog. Karen is not only the mama of a preemie, but the author of two simply wonderful books, Hand Wash Cold: Care Instructions for an Ordinary Life and Momma Zen: Walking the Crooked Path of Motherhood. Aren’t those fabulous titles? The books are just as inspiring! To read Karen’s review of Preemieclick Here! An excerpt of Preemie is being featured today over on another incredible blog, Tamara Lunardo’s fabulous Tamara Out Loud, where I had the honor of sharing my essay, Making Meaning last Septmeber! Tamara is a beautiful writer and is currently involved in a new, huge book project called What a Woman is Worth. Be sure to check it out! 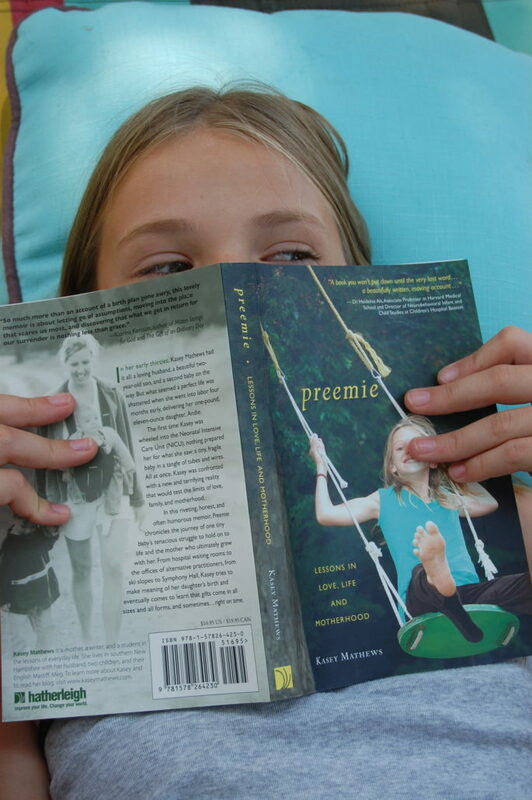 And of course the excerpt from Preemie, too, which you can read by clicking Here! And please don’t be afraid to leave a comment on either or both! Believe me, bloggers LOVE to hear comments from new readers!